A guide to identified adoptions in Tampa, Florida. Every birth journey and adoption journey is quite different from each other. In many cases the birth mother choose the adoptive parents and completes the process via an adoption attorney. While in identified adoptions, the birth mother and adoptive families find each other but use the services of the agency to complete the process. 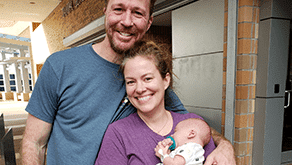 Adoption Miracle LLC, a licensed child-adoption agency in Tampa, Florida, has been providing families a ray of hope to complete their journey of becoming parents through identified adoptions. This has elements of both agency adoption and independent adoption, wherein the former is used to safeguard the interests and security of both parties involve in the process. Counselling sessions before and after the birth of the baby. Complete documentation/paperwork required to be done before the baby arrives. Detailed home study, social and medical history of the adoptive family. Other adoptive parent screening process. Complete history of the birth mother or birth parents. Solving queries regarding the birthing and adoption process, making it easier for both the parents to communicate and understand each other. There is open involvement of the birth mother and the adoptive parents in each other’s life and this helps to facilitate a better bond between the two. Adoption Miracles LLC has been successfully placed children in excellent homes through the identified adoptions process, making the transition as smooth as possible for both parents. If you wish to know more about this process, connect with our adoption consultants, today!